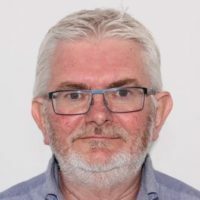 Laurence is a retired public finance accountant with a career covering Local Government, the NHS, Wales Audit Office and the Wales Assembly Government. He carried out accountancy and audit roles and worked with staff, managers and politicians to manage and achieve organisational aims. Has had extensive involvement with grant funded projects both from the local authority perspective of grant application, accounting, project monitoring and delivery, and from the Wales Government and Wales Audit Office perspective of verification of grant aided outcomes and achievements. He has lived in Llandaff, Cardiff, for over 30 years, is a life member of the Friends of Insole Court and became honorary treasurer of the Insole Court Trust in 2012. He has had a long interest and involvement with Insole Court and is particularly concerned with its preservation both as a heritage site and as a community and educational centre. Laurence is also Honorary auditor of the Insole Residents' Association and a member of the Insole Court Gardens Group. Previous charitable involvement has been as honorary treasurer of the Voluntary Emergency Service Transport charity and the Cardiff Branch of Arthritis Care. Laurence has an extensive interest in conservation of the built and natural environment, and is a member of the National Trust, the RSPB and the Wildlife Trust. Has particular interested in 19th century industrial heritage and the achievements of the Victorian age, including buildings and engineering artefacts and the transport systems and infrastructure. Member of the Corris Railway Society.